Dear all Kampar Campus Final Year Student Pending March 2019 Convocation. - various companies and their jobs availability. Who knows you may be short-listed for interview or even recruited ! Please do not miss this golden opportunity ! 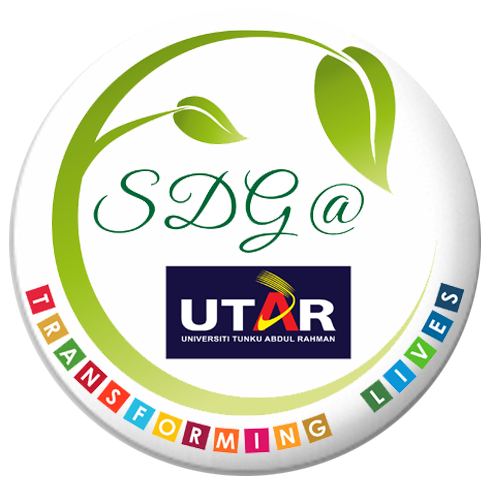 You may get your dream job way ahead BEFORE your graduation ! So, what are you waiting for ? 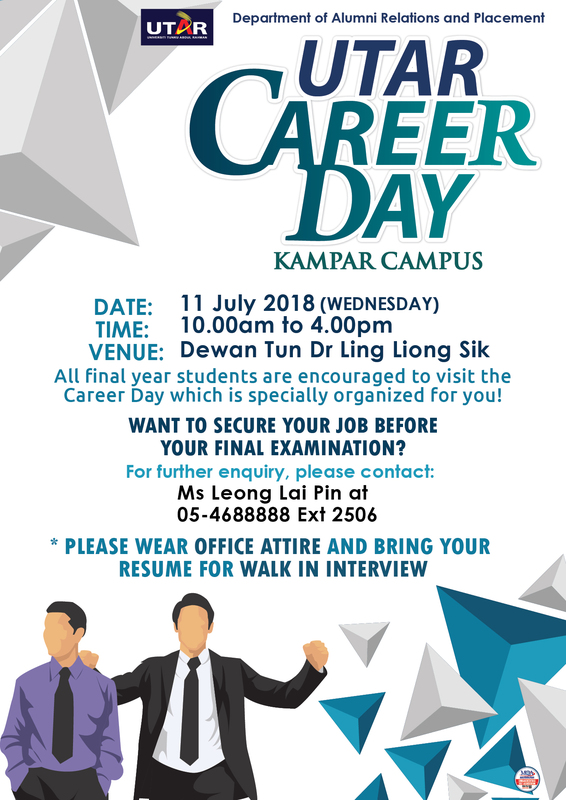 Remember to come and join the Kampar Campus Career Day. Please dress formal with your CV ready for the probable interview.